Ever wondered why Friday is such a magical day? Why you can go to sleep on Thursday night unusually happy? Why Fridays in general seem to be better days at work? Eight more hours, and it's officially the weekend. For two days, you don't have to drive to the same office, sit at the same desk and do the same job you do for (at least) eight hours a day, five days a week. The crazier part is that I actually LOVE my job and I still feel this abnormal delight on that last day of the work week. I can't imagine how glorious 5:00 PM on a Friday afternoon must be to people who really dislike their jobs. And Mondays. Oh Mondays. After only two days of freedom, why is it always so difficult to somehow find the will to roll out of bed and get to work? Why is it always so tempting to call in and fake a cold or say you ate some bad sushi the night before? Again, I actually enjoy coming to work most days. Can't imagine how dreadful Mondays are when you can't stand your job. To avoid having a case of the Mondays, I like to make my desk as cheery of a place as possible. I keep several things that make me feel happier to sit at my desk in general. Since I unfortunately sit under the air conditioning vent, I have a designated Snuggie (yes, a Snuggie) that I use whenever it gets chilly. I also keep my drawers well stocked with snacks. My Koala Pal is connected to my computer and sits on my desk to keep me company. He's my little buddy and companion at work, not making a peep when I don't feel like listening. But the moment I give him the okay and he'll play my favorite office music, and look cute doing it! The newest addition to my desk is the TECHnamouse Precision USB Optical Mouse! This light blue mouse is designed for gamers, but looks great on my desk at work. 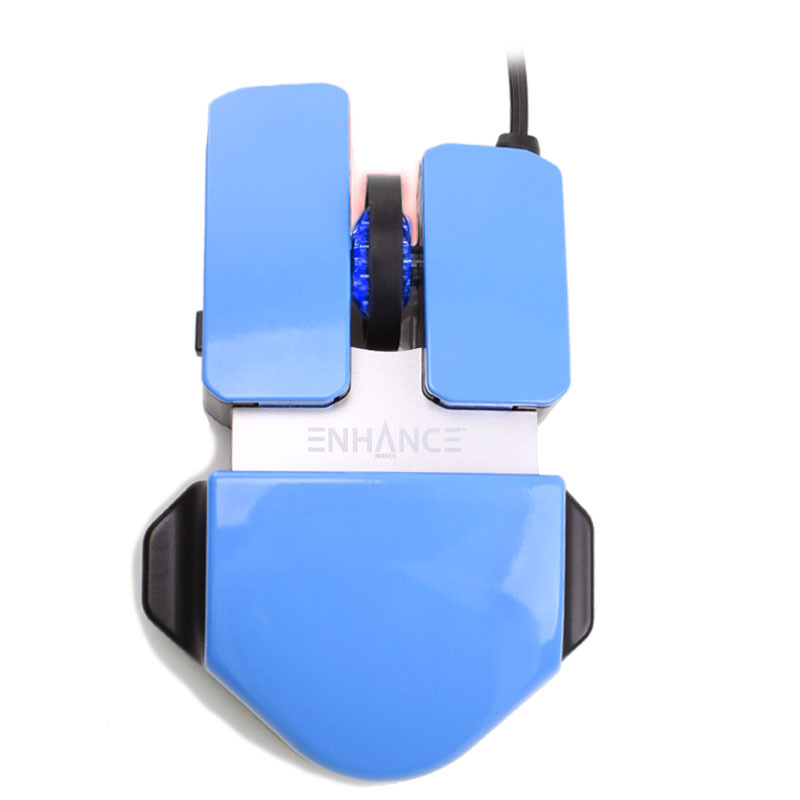 Aside from being extremely comfortable and easy to use, the bright blue and silver paint job and distinct design gives it a unique feel! The most fun I have using it is after lunch, when I sit in my office with the lights turned off for an hour or two. That is when the glowing blue LED light is most visible and most entertaining to use! The way I see it, I sit at this same desk in this same office for at least 40 hours a week. Why not make it a more pleasant and comfortable environment? At the very least, it will make Mondays a lot easier to make it through.